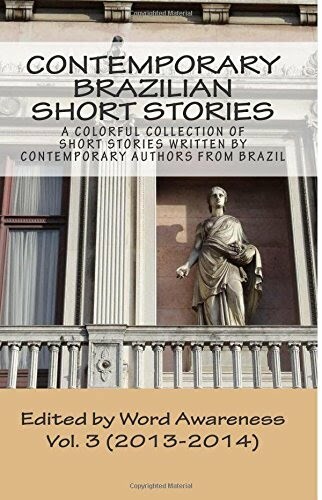 Visit our sister site "Cuentos Brasileños de la Actualidad" to read these stories in Spanish. I was standing at the bus stop near the University, re-reading Anne Rice's “Interview With the Vampire” to pass the time. The first time I read it was back in the year 2000 and I wanted to read her complete works, since I only knew about that one book. I said, “Good morning to you too,” noticing that she was holding Clarice Lispector's “The Passion According to G.H.” so I decided to make some small talk. She nodded, looking at the cover of my book. “What are you reading, then?” she asked. “Interview With the Vampire,” I answered. At first, I just frowned. Then I realized that there was indeed some contempt in the way she had said it. “Exactly, it's so in right now,” I politely replied with a smile. Her stance changed immediately. She had an air of superiority about her, puffing her chest up with pride. “In my opinion, that's just substandard literature,” she stated. I looked the other way and noticed my bus was coming, so I didn't waste any time. “Isn't that something?” I asked her. “Gotta go. Have fun with your reading,” I said when the bus stopped. I got on the bus with a smile on my face and that wonderful feeling of accomplishment. Checkmate. Or touché, if you prefer. What's the moral of the story? Well, before criticizing something, it doesn't hurt to learn a little bit more about it. ROBERTO DENSER is a writer, poet and journalist. He writes for Carta Potiguar magazine and keeps a personal blog, to which he posts regularly. In late 2013, he published his book of short stories A orquestra dos corações solitários [The Orchestra of Lonely Hearts], in which he explores the theme of loneliness as inspired by songs by The Beatles.